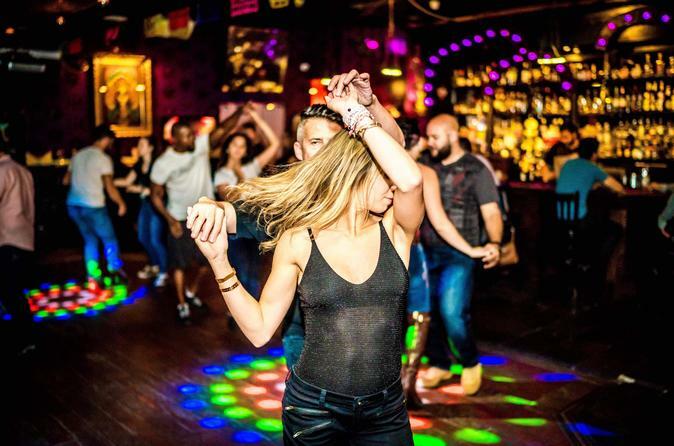 You’re invited to spend an exciting evening in the Philadelphia Latin dance scene with an experienced and fun-loving host. This 2.5 hour experience includes stunning city views, a welcome beverage, a beginner group Latin dance lesson and an evening of social dancing. No experience or partner required. You’ll meet your host and fellow guests on my 30th story Center City rooftop lounge where you'll enjoy spectacular city views and a complimentary cocktail before heading to the club for a beginner group Latin dance lesson. The exact club location and start time will vary depending on the night of the week. Typically, we’ll start at 8:30 pm and finish at 11:00 pm. My goal is for you to learn something new and to have fun. Let’s Dance! Spectacular rooftop views, welcome beverage, beginner group Latin dance lesson and an evening of social dancing. I want to share my love of the Philadelphia Latin dance scene with you. No partner and no experience required. Our 2.5 hour adventure will typically start at 8:30 pm. You’ll meet your host and fellow guests on my 30th story residential rooftop lounge where you’ll enjoy spectacular views and a welcome beverage. Next, we’ll head off to one of the city’s best dance clubs to participate in a 1 hour group beginner Latin dance lesson (the exact club and start time will be determined by the night if the week). After the lesson you’ll spend the balance of the night grooving on the dance floor. Please ask me for help or advice any time during the night. My goal is for you to have fun and learn something new. *** Please note that this experience involves social dancing and we will rotate partners during the lesson. The host will provide 1 welcome beverage per guests and pay for club cover charges. The host will also pay for transportation from the meeting point to the dance club. Guests are responsible for their transportation to the meeting point at the start of the experience AND from the dance club at the end of the experience (Uber or Lyft are recommended). This is an Adult Only experience and guests must be 21 years of age or older with valid identification. Guests are requested to arrive on time. Let’s Dance!